Welcome back! Today we’ll share a few more tips and ideas on how networking can get you that job! Tip #2 – Reach out to your network. Having all the connections *in the world* won’t help you find a job if no one knows you are looking. Get that list out and start making calls – you need to contact those in your network to let them know you’re looking for a job. Be specific about what you are looking for and ask if they know anyone in that field that can help with your search. Never assume people can’t help you may be surprised about what and who they know. Be definite on what it is you DO want – you need to have specific career and job goals, it’s hard to get a lead with a *generic* “let me know if you hear of anything”. While you might think it’s better to leave yourself open to any and all possibilities, this *openness* just creates a black hole that ends up sucking away any networking connections. When your job does come up, your network won’t associate THAT job with you and it’s a missed opportunity. Generic type networking requests are no request at all – you completely loose the connection. Asking for specific leads or information reinforces to your source WHAT you are looking for. It’s like saying *I’m looking for a car* compared to *I’m looking for a 2009 Ford Falcon, automatic..* Your source then becomes more focused on your request. Maybe you are struggling or having trouble with deciding on what career or job to go for, you can always ask your family and friends for help or advice, but don’t contact members of your wider network until you have clear and focused goals. Start with any references you have. When looking for work start with the people who know and like you and who can attest to your abilities and skills, they know your character and track record and are part of your major networking hub. Let them know your goals, keep them informed on your job search progress and if they should be prepared for a call from a potential employer and always let them know the outcome; most importantly always thank them for their help. Tip #3 – Focus on building the networking relationships you already have. 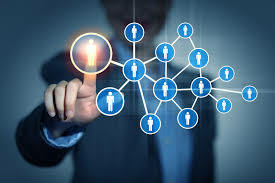 Always try and remember that networking is a give and take process that will involve making connections, sharing information and asking questions. It’s a way of relating TO others and not just a way to get a favour or a job. You don’t have to hand out business cards on a street corner or cold call all those on your list – all you have to do is ask for help. Be yourself – as with any job network situation being the real you should always be your goal. Hiding who you are, your true interests and what you can and can’t do will only hurt you in the long run. Aiming for what you want and not what you think others will like will be more successful for you and far more fulfilling. Be considerate – if you are reconnecting or catching up with an old friend or co-worker take time to get through the catching up stage long before you ask for help. Of course if this person is very busy or you don’t know them well, be respectful of their time and come straight to the point. Ask your network for advice; don’t ask them for a job. If you want your network to help you in your job search don’t ambush them, ask for advice or help instead. If they can offer you a job or refer you to someone who can they will do that. Never put people in the position of having to turn you down or telling you they can’t help. Be specific! Before you begin networking with everyone you know get yourself organised. Work out what it is you want from them, is it a reference? Do you want a referral? Are you looking for an insider’s take on the industry? Or an introduction to someone who can help? Make sure your resume is up to date with all your recent experience. How big is your network? Have you taken the time to sit down and consider how many people you know who can help you?